The European context in religion has often been characterized as one of inexorable secularization, particularly among young people (Bruce 2002). However, as Davie and others have pointed out, religious belief remains high in Europe, even where communal religious practice does not. Davie has characterized this as “believing without belonging” (2002). Recently, Day has picked up on a concurrent trend she names “believing in belonging” (2013) which highlights the way some Europeans find a sense of belonging in an ethnic and/or regional religious identity without necessarily practicing communally. Meanwhile, the political context of a growing Europe increasingly embracing outlying nations (such as Romania or Turkey) and opening up the right to work across national boundaries, along with migration from Africa and Asia, has led to growing religious diversity even in nations with historically largely mono-religious identities (e.g., the Republic of Ireland or Sweden). In particular, inter-European migration has led to populations who regularly move back and forth for work and study bringing religious beliefs and practices with them but also returning with outside influences. This chapter examines some of these phenomena as they apply to young people in Europe. The chapter paints a broad overview of religious trends across Europe and focuses on several case studies in order to give a sense of the complexity of youth and religion in Europe. The first considers the case of young Polish migrants to the UK, the second, the ways in which Christianity and alternative spiritualities influence young people whose families are historically Christian in Britain, and the third, the case of Germany and especially atheism, religious migration, and a possible emerging de-secularization among young people in East Germany. de-secularization among young people in East Germany. identities”and “spiritual”identities may all be part of nonreligious identities (2013). religious beliefs and practices with them but also returning with outside inﬂuences. urban, more pluralized south (see Scottish Executive 2005; Brierley 2003). recent generation of young people. (Russia, Ukraine, Romania) and mixed states (East Germany, Latvia). and Russia (48.6 %) did a signiﬁcant portion of young people claim to have no religious afﬁliation. Poland (61.4 %). However, even here there is a decrease of 24.2 % since 1990.
ﬁnd religion important. The most dramatic decline is in Poland and Ireland (about minus 26 %). Germany 19 %). However, in 9 out of the 15 chosen countries, the belief in God is in decline. people hovers around the 50 % mark. categories and questions in differing contexts in the following case studies. icism and a strong societal obligation to practice it. Roman Catholic Cathedral in Plymouth. Catholic Church (Dunlop and Ward 2012). 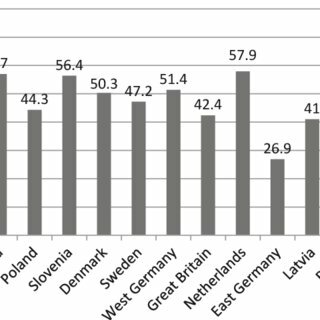 faith on visits home to Poland, but did nothing religious in England. really believe. They go because they see a deeper purpose in going. discovering a whole range of expressions of the Christian faith. research on young migrants to the UK (for e.g., Loul et al. 2014). importance of both the supernatural and the inﬂuence of alternative spiritualities became evident. from Wicca and other contemporary paganisms or from the supernatural or occult more broadly). ﬁnding in terms of method in the study of religion with young people. connection to the local community. she was increasingly curious about alternative spiritualities such as contemporary paganism. In Germany, as detailed above, a decline of religiosity during the last decades can be observed. once upon a time. ... Where does he come from?.. I’m just, I’m too realistic there. toward topics related to religion or spirituality in the decade after the German reuniﬁcation. group believed in an afterlife in 2002, in contrast to only 15 % in 1991.
help her to interpret her life experiences and deal with the contingencies and insecurities of her life. G. Vincett, & C. Cotter (Eds. ), Social identities between the sacred and the secular (pp. 173–190). Crockett, A., & Voas, D. (2006). Generations of decline: Religious change in 20th century Britain. Journal for the Scientiﬁc Study of Religion, 45(4), 567–584. Davie, G. (1994). Religion in Britain since 1945: Believing without belonging. Oxford: Blackwell. Journal of Sociology, 47(2), 271–296. outcomes of immigrants in the united kingdom. International Migration, 47, 161–190. eastern Europe. Cambridge: YTC Press. Religion and youth (pp. 209–216). Farnham/Burlington: Ashgate. GESIS data archive. Data ﬁle version 2.0.0, doi:10.4232/1.11005 DOI:10.4232/1.11005#_blank. Francis, L. J., & Robbins, M. (2005). Urban hope and spiritual health: The adolescent voice. Study of Religion, 17, 123–156. heritage. Empirical-theological perspectives (pp. 73–90). Leiden: Brill. childhood and adolescence. Cardiff: University of Wales Press. landscape. New York: New Press. Loul, B., Willot, J., & Robinson, S. (2014). Refugees’Encounters with christianity in everyday life. In G. Vincett & E. Obinna (Eds. ), Christianity in the modern world: Changes and controversies. research religion: Putting methods into practice. Oxford University Press, UK. Annual review of the sociology of religion (Youth and religion, Vol. 1, pp. 251–288). Leiden: Brill. Zusammenbruch der DDR (pp. 246–266). Frankfurt am Main: Suhrkamp. tives (pp. 269–288). Leiden: Brill. New directions in the anthropology of migration and multiculturalism, 30(6), 1024–1054. Scotland. Journal of Contemporary Religion, 27(2), 275–290. What the world believes. Analyses and commentary on the religion monitor 2008 (pp. 149–166). German youth: Neither participants nor partakers in religion? The secular sacred: In between or both/and? Atheismus und Agnostizismus. Bestandsaufnahme und kirchliche Konsequenzen.